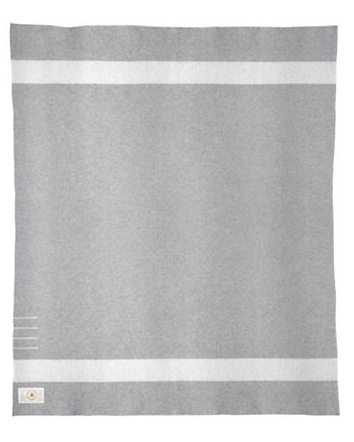 In honour of #Canada150, Hudson’s Bay has created its first new Point Blanket design in seventeen years. The marled grey colour of the new Hudson’s Bay Collection Ice Point Blanket is meant to evoke the serene beauty of Canada’s glaciers. All of their iconic Point Blankets are manufactured in Yorkshire, at the finest woolen mill in England, as they have been since 1810. 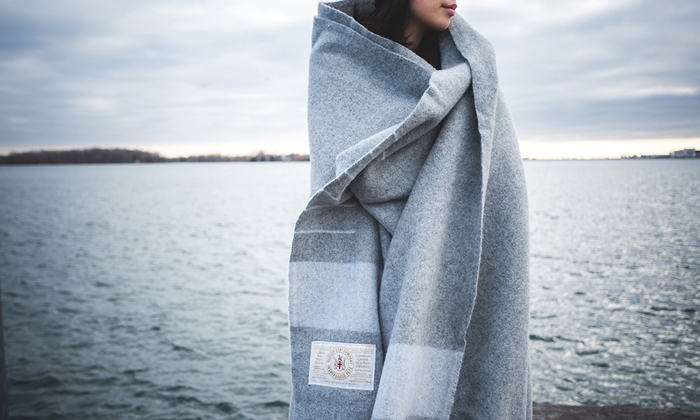 Generations of Canadians have enjoyed the classic multi-stripe design, and the Ice Point Blanket makes a wonderful new family heirloom. The blanket comes in Twin, Full, Queen and King sizes. See more info here. Photography by David Pike.